Music Director of The Royal Opera, Antonio Pappano, receives a knighthood for his services to music. On receiving the news, Antonio Pappano said, "I am astonished but hugely honoured by this news. I am so grateful to the Royal Opera House for providing me with a platform to make music and drama with a world-class orchestra and chorus communicating our passion for this amazing art-form." Sir John Tomlinson, currently appearing in Die Meistersinger von Nürnberg at Covent Garden, said, "I have known and worked with Tony for 25 years now, and he commands my admiration and respect as a fine musician, an impressive pianist, a conductor who understands the singing voice like no other, and an intensely dedicated artistic leader of the Royal Opera House. All of us here in the House are absolutely delighted for him." 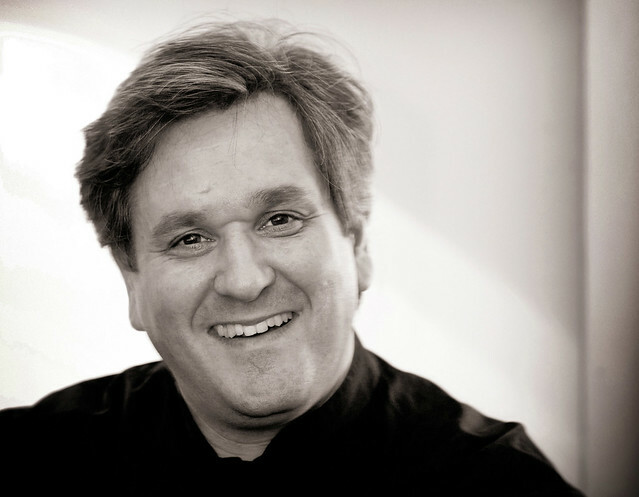 Tony Hall, Chief Executive, Royal Opera House said, “On behalf of everyone at the Royal Opera House, I’m absolutely thrilled and delighted that Tony Pappano has been knighted for his services to music. He has boundless energy and we all love working with him. His passion for opera communicates itself to people - those who know a lot about music and those who are new to it. We're very lucky to have him at Covent Garden. Tony has made a huge contribution to the musical life of this country, opera in particular, and works with many of the world’s leading artists. It’s wonderful recognition of his talent, passion and extraordinary commitment that he should be honoured in this way. "It's also a great way for us all to celebrate the New Year, which sees some really momentous works of opera on our stage at Covent Garden over the coming months with Tony at the helm". Antonio Pappano is conducting Die Meistersinger von Nürnberg until 8 January and you can hear the opera broadcast live on BBC Radio 3 at 2.45pm on New Year's Day. Full details of the New Year's Honours list can be found on the Directgov website. BTW...looking forward to MEISTERSINGER next week! Wonderful news! Tony is greatly loved by regular audience members such as myself and I am sure all Friends of Covent Garden will be as delighted as I am. A richly deserved honour for a brilliant opera and orchestral conductor. I look forward to die Meistersinger tomorrow. His presentation of TV programmes such as his three-part series on Italian opera and his lucid introduction to Tosca demonstrate his communication skills and enthusiasm for the subject. Please, take my hearty congratulations! I have no words to say how much I am happy to get this wonderful news! It makes today and tonight the very special event - my family and I will celebrate and cheer you, your Knighthood, New Year's Day and, after the 2012 begins, yours Birthday! I have already made it my New Years resolution to visit Covent Garden more often, congratulations Maestro Pappano! Thoroughly deserved in every way, congratulations!! You have given me so much pleasure with your conducting over the last year. My husband an I have so enjoyed watching all the wonderful Opera programmes with Antonio especially ones where he travels around Italy showing where Puccini and other great Opera maestros were born we much look forward to being able to visit the Opera House to see this this great man at work. Great new! Grazie Maestro, you really deserve it, and not only! I am looking forward to you to receive the same acknowledgement here in Italy! It would not only mean you are the tremendous artist you really are, but even you made the cultural life in this country grow, and God knows how much we need it! As a 'boring engineer' I entirely support the positive comments for Antonio Pappano's knighthood, richly deserved. We have much enjoyed his BBC Italian opera programmes in addition to the wonderful Tosca broadcast, among others. He is an inspiring communicator through his enthusiasm and musicianship. My continuing wish and intent is to attend a live performance. Maestro Pappano has never ceased to capture the hearts of many, young and old, with the delicate beauty of his conducting and leading the ROH into greener pastures! A knighthood is only a small token of gratitude that the public at large owes him. Fantastic news to start the year - and well deserved recognition for Tony's contributions to opera and classical music through ROH, Santa Cecilia and numerous media and recordings which have entertained and moved many established and new music lovers ! Congratulations Tony ! You dissected operas, note by note, syllable by syllable, and created, with the touch of an Italian Maestro and the command of a British Director, inspired by a coup d’oeil and I might add a coup d'oreille, music for the ages. Bravo, well-earned and deserved. In our minds and hearts you remain and continue to reign as the undisputed King of the Opera. Congratulations - I have enjoyed many performances by Antonio. He really 'lives' the music and his enthusiasm is contagious. He is one person who really deserves this honour and I look forward to seeing him many more times both at the ROH and on television as the pleasure he gives me is immeasurable. No one deserves it more than you! In a world that is submerged by a wave of ugliness and indifference, you bring to the foreward the one form of art that, like a bridge, links countries, nations, people, under the flag of Harmony. Being Italian, and living in London, i experienced this firth hand, having the chance to enjoy unforgettables performances both in London and Roma under your magic BATON. Congratulations!!! I only know about the Knights of Columbus in Bridgeport. a star.. You deserve it..
What an honor for you. Jan called on Sunday to tell me the news. Congratulations and blessings on your many accomplishments. Judy Milleville (college roommate of Pam's) Give her our best as well. I was very moved to hear of your honour. It is well deserved. Congratulations Tony on this fantastic achievement. Delighted to hear of this award. The roar of acclaim from the audience on New Year's Day showed how many people agreed that it was richly deserved. So richly deserved, you are an inspiration to all who work with you and an inspiration to your audience. You work from your heart and that communicates with everyone. You have done so much for this great Opera House that so many of us love so much. Great news. Having recently heard his deeply impressive and moving Meistersinger both in the House and on radio, I have just been listening (on a recording from the radio) to Sir Antonio conducting Elgar's 1st Symphony with the LSO demonstrating that he is just as great in the purely orchestral repertoire as he is in opera and in English as well as German, French and Italian music. Proteus lives! We are indeed very lucky to have him. Bravo Maestro Pappano - you have transformed opera at the ROH and your conducting is a sheer delight! An honour so well deserved. Congratulazione Maestro Pappano! I am mainly a Ballet fan but through your wonderful conducting and television programmes I have now learnt to understand and enjoy opera equally. I am delighted that Antonio Pappano has received this honour which is of course well deserved. His passion for music and opera is contagious and I enjoyed his BBC programme Opera Italia when he explained every nuance of an opera with such enthusiasm and technical knowledge. He is my personal hero and a true legend! Grazie Maestro, un'onorificenza veramente meritata!